Saving the mediterranean sea turtles: Help me, help them! This summer I wanted to do some work closely related to what I hope I will be doing in the future. 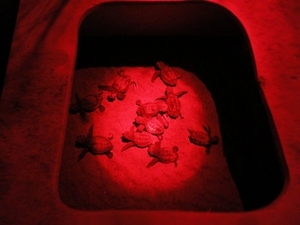 In this specific case the conservation of Sea Turtles. I want to help a group of researchers ( Wildlife Sense ) for the duration of two weeks, from 20th of June to the 4th of July, to study turtle patterns: where they feed and where they lay eggs, in order to ensure the future survival of these species. For that I am aiming to raising £950 to cover the costs of my stay in Kefalonia + the expenses (explained in more depth below). My name is António, I'm currently a first year at the University of Essex studying Philosophy and Politics. I've decided to participate in this project because I believe that humans have a duty to help and conserve other species, instead of just using them as we please. Unfortunately not everyone thinks like this, and we see the damages to the environment, and to certain animals all around the globe. I would love for this to be my area of work in the future, more specifically; working with an Environmental Protection NGO. Therefore, this project is a perfect way to get some actual hands-on work experience. Regardless of educational interests or what job you are involved in, these are matters that affect us all. Your donations will ensure that I will assist in retrieving valuable research, as well as helping with the survival of these animals. If I hit my minimum of £480 I will use the funding for my stay with the researchers, but if I'm able to reach my full target of £950, I will also be able to take care of my transport to Kefalonia, as well as living expensese, and other extra costs I will surely need, such as the tonnes of sunscreen I will be using! If I do receive extra funds then I can see no better way to use these to buy better equipment to help support the cause, and be used towards another participating in another conservation project. I am offering rewards to donors, as a thanks for donating to my project. These range from images, to postcard to links on social media! Check them out on the right hand side of my page. What will be as helpful as donating is sharing this project with your friends and family that might not have seen my page! Tell them about what's going on- and if they're interested, how to help as well. You can do this by sharing the page on your social medias, or simply via a quick chat! All promotional efforts are really appreciated. Thank you very much for your generous donation to help with my project you will be receiving 3 pictures from the trip on whatever you might be interested (the sights, the turtles, the work). Thank you very much for your generous donation to help with my project you will be receiving 5 photos of the project as well as, adding you on my snapchat so you will be able to have constant video updates of what I'm doing. Thank You very much for this big donation. If you decide to donate this amount you will be getting an accumulation of the other rewards. This being: 3 postcards from Kefalonia / Access to the photo album / Receive a copy of the video I will be making / As well as a surprise personal gift I will get during the trip!